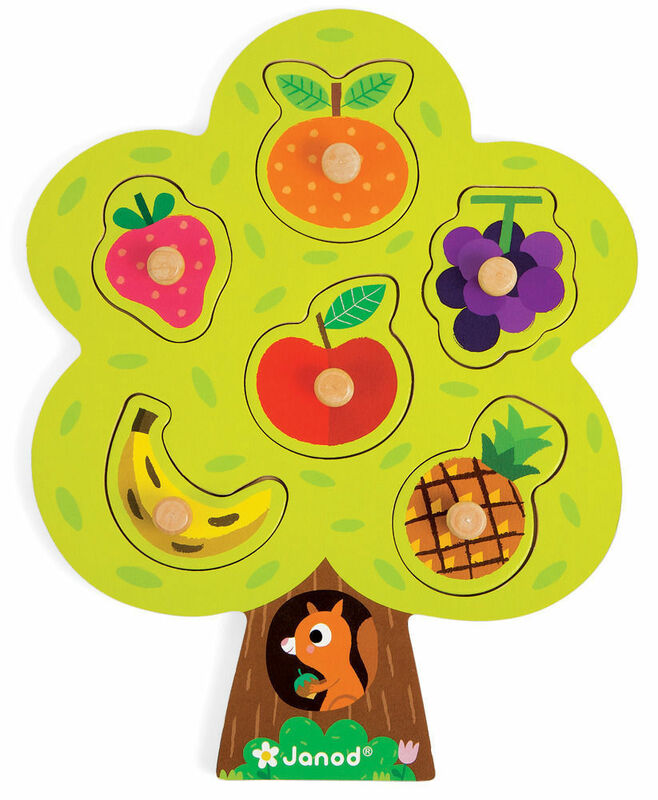 The squirrel is collecting his food for the winter. 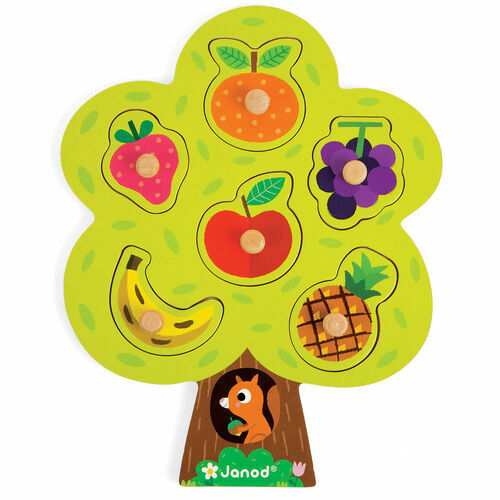 Can you help him find the fruit by the shape? 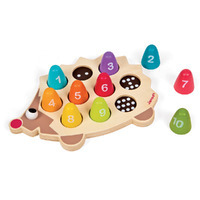 Made from wood there are six different fruits to put in place and each piece has a knob for little hands to grasp which encourages fine motor skills and hand eye coordination.